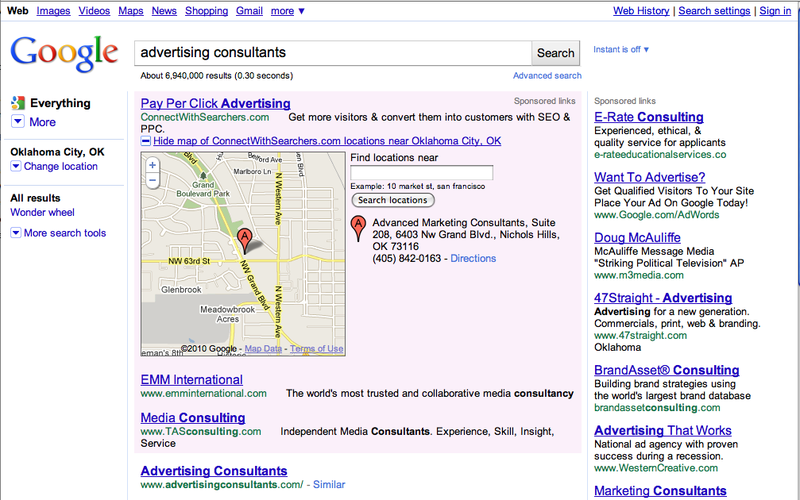 What are Google AdWords Location Extensions? Location extensions allow you to extend your Google AdWords campaigns by dynamically attaching your business address to your ads. In addition to the description lines and URL that appear in your ad text, your AdWords ad can also display your business name, address, and telephone number. This helps promote your business, brand, products, and services, and associates your business with a specific location of interest to the user. Location extensions were originally activated from within the Settings section of AdWords campaigns. However, Ad Extensions have since been moved to the Tabs level in Campaigns. AdWords location extensions can be linked to a Google Places account or use a manually entered address. Any advertising activity generated by location extensions also produces statistics in the AdWords advertisers account. Location extensions when used properly can provide an additional level of differentiation and visibility at a time when and a place where searchers are searching for a local solution. This entry was posted on October 29, 2010 at 12:39 pm and is filed under Google AdWords Location Extensions, Google Places. You can follow any responses to this entry through the RSS 2.0 feed. You can leave a response, or trackback from your own site.